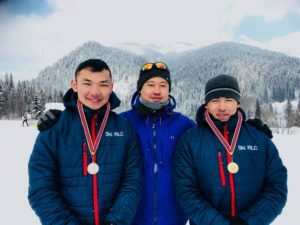 10 Queen’s Own Gurkha Logistic Regiment (QOGLR) Alpine Skiing Team have completed an outstanding season, competing at the Royal Logistic Corps (RLC) Ski Championships in Ruhpolding, Germany. This has been a phenomenal season for the team; the first complete season for the QOGLR and the first for this team of six soldiers from across the Regiment. Under the exemplary leadership of Sergeant Dinesh Thapa (1 Sqn), the team have progressed through exercises and competitions in Norway, France, Austria and finishing in Germany. 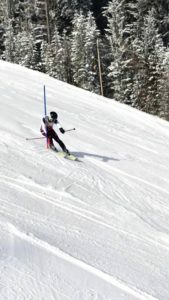 Their development has been from elementary training for basic skills through to Divisional and Corps wide competitions totalling approximately eight weeks of intensive skiing. Two members of the team were complete novices at the beginning of the season, which began in November 2017. This has been a journey that has seen the whole team develop an incredible amount of skills through hard work, dedication and courage on the slopes. Their progression has been extraordinary and has won them huge respect from across the wider RLC for both their skiing prowess and sportsmanship. The highlight of the season has seen the team finish an incredibly impressive 3rd place from the 27 Units and teams of the RLC. From their haul of no less than 10 medals, Private Nagen Rai (28 Squadron) was awarded Gold for the Overall Individual Combination in the RLC. 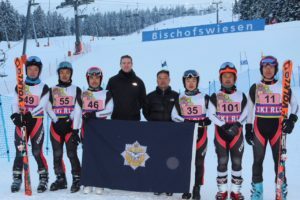 At competition level, Private Nagen also won Gold in the Novice Slalom whilst Private Bikash Lingthep (28 Squadron) finished second, earning a Silver Medal. An exceptional result from 144 x skiers taking part. In arguably the hardest discipline, the Super G, Corporal Minkumar Gurung (1 Squadron) won the Silver Medal, just 1 second off the top place and behind an Army level competitor who had been on the slopes constantly since Sep 17. Corporal Arjun Pun (28 Squadron) and Private Mukesh Rai (1 Squadron) completed the team and were vital in developing the novice members of the squad.